The UniTech PA550 has reached end of life. It has been replaced by the UniTech PA600 MCA. 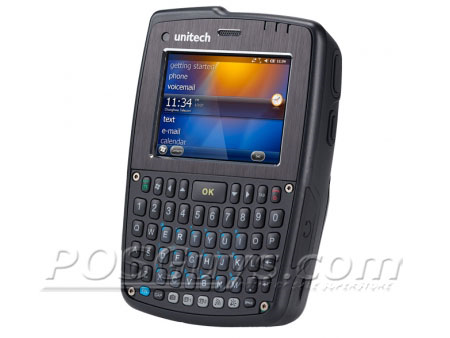 This product replaces the older UniTech PA500e. 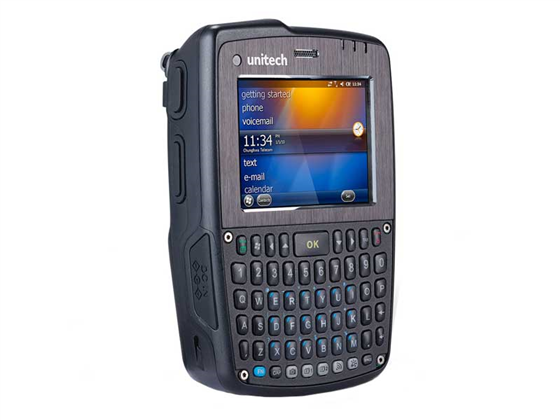 The Unitech PA550 mobile computer puts Unitech's world-class data collection capabilities in a smartphone form factor, fantastic for field sales & route management applications. Built on the Windows Mobile 6.5 platform, the PA550 offers compatibility with legacy mobility applications while maintaining a modern user experience. Bluetooth, 802.11b/g, and GPRS cellular radios are standard on all models, ensuring mobile field workers stay in contact virtually anywhere. Data capture is a snap with the Unitech PA550. The built-in laser scanner reads 1D barcodes quickly and accurately, streamlining stocking or inventory management applications. For visual proof of service, the 5 megapixel color camera takes photos with crystal clarity. The built-in Bluetooth radio gives employees greater scanning flexibility, pairing specialized cordless barcode scanners or 2D imagers as needed. For manual data entry, the full QWERTY keypad provides easier data entry than on-screen keyboards or T9-style keypads. Unitech reinforced the PA550 to succeed in environments too rough for standard smartphones. Reinforced internal components protect the mobile computer from 4-foot drops to concrete and seal it from windblown dust and splashes of water. The PA550 can also operate in temperatures as low as 14° F, making it a great choice for colder locales. A 1-year warranty is standard, and Unitech offers extended coverage with 2- or 5-day turnaround, providing greater peace of mind for your investment. Everything you need to get started is included with the PA550. 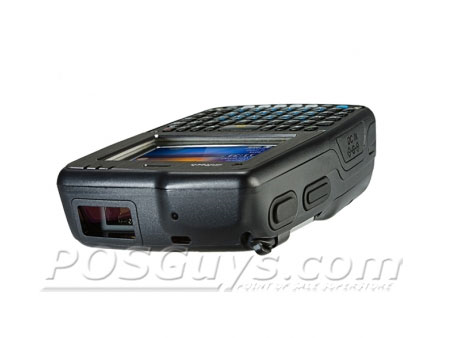 The PA550 is a great data collection device with a familiar, Blackberry-style body. Including a 1D laser barcode scanner and 5 megapixel camera makes the PA550 a great choice for data capture. We really like the full QWERTY keypad with separate number row, as it makes entering keyed data a lot easier than competitors' products. Find it faster! 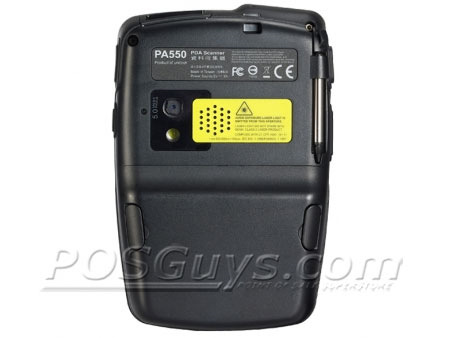 Click here to compare PA550 models by feature.